Birds are warm-blooded, covered in feathers and lay eggs. All birds have wings, a beak and stand on two legs. Most birds fly, but some cannot. Some species, particularly penguins and members of the Anatidae family, are adapted to swim. Some birds eat only seeds and berries. Some also eat insects. Birds of prey eat small animals. Male birds are usually more brightly colored than females, while females have better camouflage which helps to protect their nests. Birds are incredibly intelligent animals. They make and use tools and culturally transmit knowledge across generations. They are social, communicating with visual signals, calls and songs, and participate in such social behaviors such as cooperative breeding and hunting, flocking and mobbing of predators. 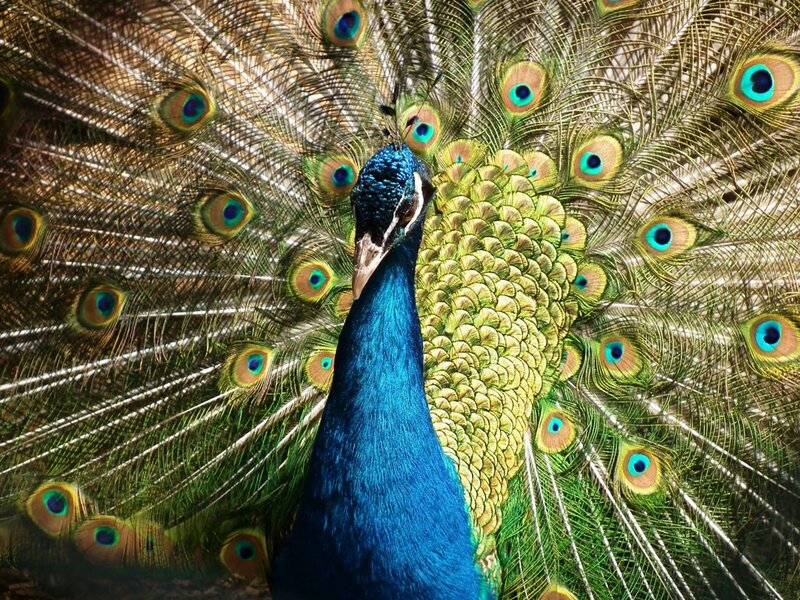 The vast majority of bird species are monogamous, for one breeding season or for years. Eggs are usually laid in a nest and incubated by the parents. Most birds have an extended period of parental care after hatching. In some species, both parents care for the babies, or close relatives will help with the raising of the young. Birds are present in almost all habitats on earth and are usually the most familiar and visible wildlife to people all over the world. Because of this, they may act as a significant indicator for monitoring how the biosphere changes. Diminishing bird populations in the majority of habitats are the sad confirmation that major changes are taking place on Earth because of our activities. More than 12% of currently known species of birds are at the threshold of extinction. The biggest impact on bird population has been caused by degradation and loss of habitat, with collectors’ activities and invasive species following closely. The tallest bird is the ostrich at around 9 feet tall. 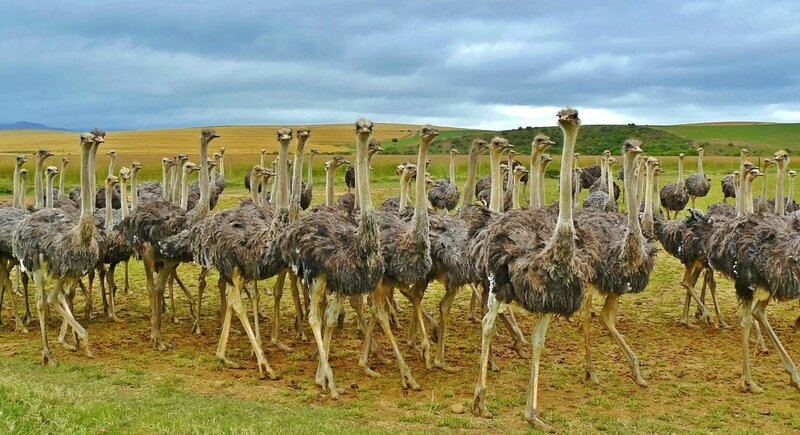 The ostrich is also the heaviest bird, at about 345 pounds. 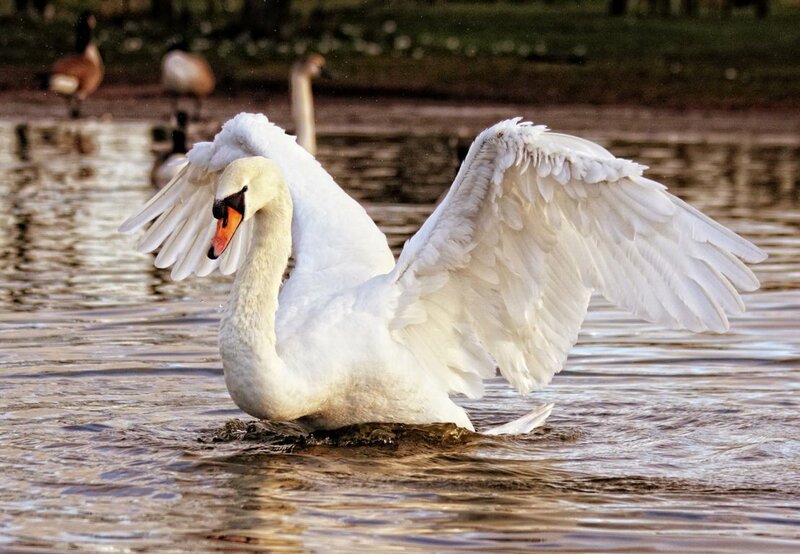 The heaviest flying bird is the mute swan at about 40 pounds. The largest wingspan of all birds belongs to the wandering albatross at 11 feet 10 inches. The smallest bird is the bee hummingbird measuring in at only 2.2 inches from beak to tail. The fastest bird is the spine-tailed swift, traveling at speeds of over 106 mph. The longest living bird is thought to be the sulfur-crested cockatoo, able to live well into their 80's. Crows’ intelligence rivals human children. They use tools to get food, have exceptional memories and anticipate future events to help them solve problems. They have learned to use bread crumbs as fish bait. They can count, distinguish complex shapes and perform observational learning tasks. Crows are extremely social creatures. They have been observed creating knives from leaves and stalks of grass and using advanced plucking, smoothing and bending to fashion twigs and grass into a variety of substances. Caledonian crows remember specific people, cars and urban situations. They also develop grudges against specific people and cars that last for years. Ravens push rocks on people to keep them from their nests, steal fish by pulling a fishermen’s line out of water and play dead beside an animal carcass to scare other ravens away from the food. Ravens are known to steal food from other birds and mammals. They can act in pairs: one individual captures an animal's attention, while the other steals its food. They pretend to hide food in one place while really hiding it somewhere else to fool other animals. Ravens can learn to talk better than many parrots and mimic other noises. They imitate wolves or foxes to attract them to carcasses that the raven cannot break open. They roll around in anthills so the ants swarm on them, or they chew the ants up to rub their guts on their feathers as an insecticide and fungicide or to soothe molting skin. Ravens point with their beaks to indicate an object to another bird and hold up objects to get the attention of other birds. They will console other birds and remember friends and family for years. They live complex social lives and express happiness, tenderness, surprise, emotion and rage through their own language. Ravens are very playful and play with other ravens, other animal species and humans. They mate for life and live in pairs. When children reach adolescence, they join gangs until they mate and pair off. Many birds have been known to play. 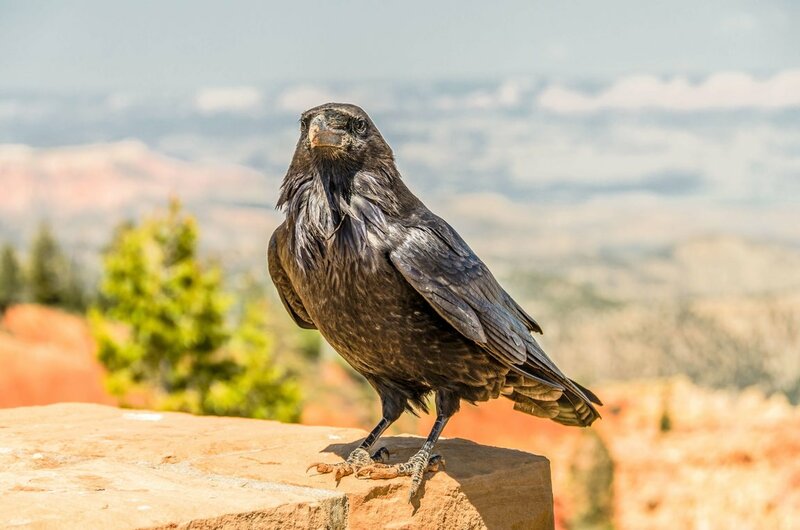 Ravens and crows love to play and have been observed sliding down snow banks on their backs, cavorting in updrafts and sliding repeatedly down sloping church windows. Jay birds have been observed grieving, including an entire group of birds sitting for 48 hours near a dead brethren. Swans are highly intelligent and social animals. They remember who have been kind to them, and who have not. They usually only show aggression to those who have upset them, and will remember them. They have sharp vision and hearing and use a remarkable assortment of sounds to convey a broad range of emotions. Swans usually mate for life, with occasional “divorces” occurring. Male swans will occasionally baby sit an egg so the expecting mother can take a break. Pigeons are actually domesticated rock doves who were set free. They are marvelous parents: the father builds the nest, and both parents take turns incubating the eggs and even making milk in their crops for the young. Pigeons remember dozen of routes to find their way to familiar places, and can recognize their faces in mirrors. They can remember hundreds of photographs and images, are able to differentiate between photographs, and even differentiate between different human beings in a photograph. They have been known to be able to distinguish between Van Gogh and Chagall paintings. They can count, order items in ascending order and understand math rules. They have an amazing ability to remember people and places throughout the course of their life. Pigeon can recognize all 26 letters of the English language, be taught complex actions and response sequences, and can make responses in different sequences. It has been discovered that birds name their offspring. They use smell memories to travel thousands of miles. They show advanced planning and art. They have been proven to perform arithmetic, invent words and express love through language. 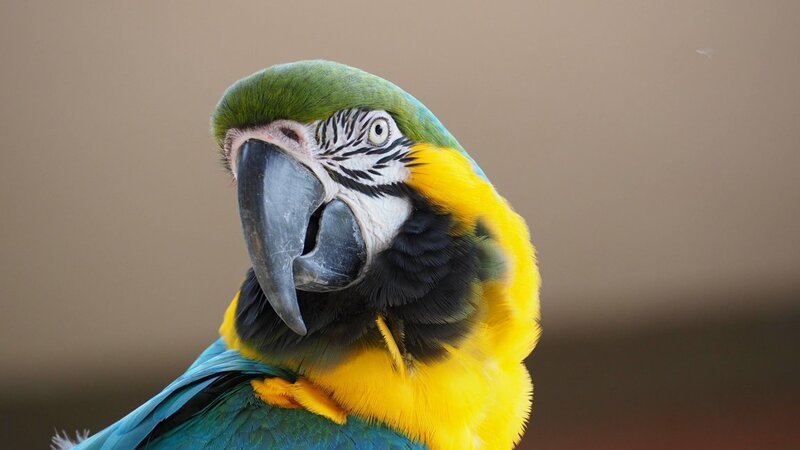 Parrots not only mimic the words of humans, they also understand the meanings of the words. Studies show that they remember 90% of what they are told, including full sentences and even parts of songs. They are capable of performing math, identifying colors and communicating to humans what they want. Parrots cannot bear to be alone. While most mate for life, all live in large social groups, sometimes with multiple species of birds. Ostrich mothers lay their eggs in a communal nest, allowing the eggs and young to all be cared for by one bonded pair; up to 380 chicks have been seen being escorted by loving parents. 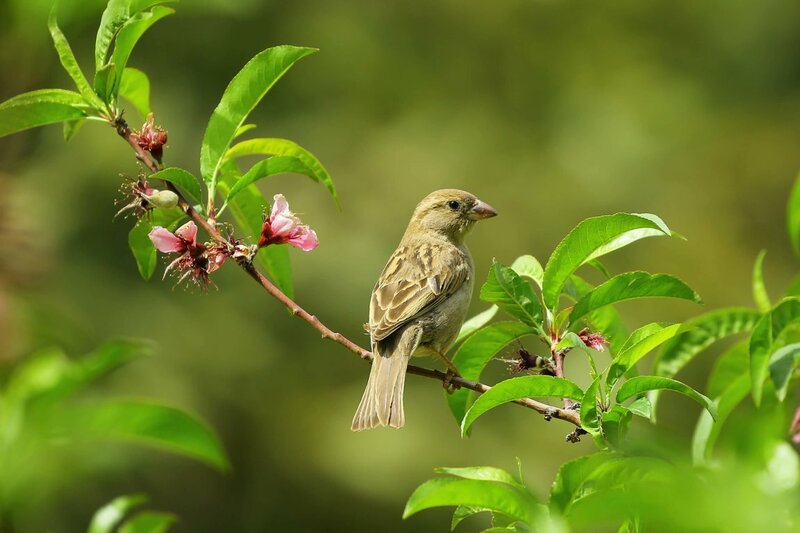 Finches learn by listening to others and follow rules of syntax. Bengal finches use strict rules of syntax. If a zebra finch is sick, it will fake being healthy in front of other zebra finches, especially if there’s a chance to mate.